New member here and hope you'll be patient at the risk of sounding like a cliche, but I am like many, not a Computer whiz/dev/geek etc but like to think I am a quick enough study to follow a great teachers directions that I can solve most problems...with my PC or otherwise. I have a Gateway WIN7 HP system I have had for many years (about 8 with several typical upgrades ie. GPU, Fans etc that I can recall at the moment) which recently started blue screening and freezing, usually telling me Windows has shutdown due to some problem suggesting I do a BIOS tweak and turn off caching and shadowing etc which I have no clue how to do even though I have tried to research, etc etc blah blah blah...(my version of computer jargon sorry). But my understanding is either Windows is corrupt or my Vid card possibly dying or both or neither. I am unsure but know it will go for long spells working fine and seems to crap the bed after an update or shutdowns. It seems to run okay if I just let it sleep most of the time and starts acting up when I have had to shut it down again either by demand or for an update. I really would like to try anything but Windows in the future with all I have heard about Win10 etc. And with that being my next move/option if I am forced to buy new I thought I would investigate Linux as I have heard and seen much about it for many years but never really understood too much about it and its use. I have read many posts and done many searches online about my issue and about Linux etc. In short I am wondering if I can replace my Win7 (or at least put it to sleep in the background as a non operating zombie only to be awakened if necessary for the most part/frankly if I could save my information I'd be thrilled to exorcise it from my PC for good) with Linux and use Linux as my operating system from now on? Another big part of that is if I can replace Win7 with Linux OS will Linux allow me to play MMORPG's online such as LOTRO, ESO, SWTOR etc? My rig has actually been not too bad over the years for quality but certainly not greatest for gaming as it is getting old but it has always served me well and I would like to try to revive it with a new OS and cross my fingers I am not into another 2k to buy a new gaming computer to replace it because I think the guts and hardware of it are still okay....but like the Scarecrow it needs a new brain. Hope this makes sense and looking forward to learning from any who are able to help. VP9KS, Jeffrey Lapinski, Bayou Bengal and 1 other person like this. Best advice for someone wanting to see what Linux is about and what Linux can do is to download a Linux iso and create a bootable live DVD and give it a test drive. The most common way to try out Linux is to boot it off of a Live DVD. Such DVDs let you run Linux right from the DVD, so nothing changes on the rest of your computer. ICEMAN, Bayou Bengal and wizardfromoz like this. You'll need to be prepared to do a bit of research, I expect you are prepared for that. If you preface your search with Linux you'll get better results, and if you use quotes it willalso narrow down the field. When I went to copy the search keywords to here it also referenced things like lotro linux 2018, &c.
So work through your list to see what is being used by other Gamers. Make distrowatch.com your friend, and you can find Linux Distros that are Gamer-friendly. I see @poorguy has beaten me in, and I endorse his comments. and give us some of the specs for your rig. Also, on the Summary page, whether it is UEFI or Legacy/CSM. Once we get a picture, we can better advise. but like the Scarecrow it needs a new brain. read the blurb a couple of times....more if you wish.......it is not complicated. Advice : Have a look at **'Timeshift'** it is similar to windows system restore.....just MUCH better. It actually works. While you are //playing with Linux// on a thumb drive //you will not need Timeshift//.....but after you have **actually INSTALLED Linux...then i HIGHLY recommend you give Timeshift a run**. If you have an __external hard drive as well, this is the ideal set up.__ You are able to send a 'snapshot' of your system to the external hard drive via Timeshift' ....it serves as a 'safe spot' which you can restore from with one click. In the case of a (HIGHLY unlikely) bad update, where your normal __Linux__ would not boot.....simply boot the pc to the external hard drive...select the 'snapshot' you wish to run (usually the one made before the bad update)....click on 'restore'....go make coffee. Read the rest of this article online. This procedure will install Linux Mint next to your existing Windows system and leave it totally untouched. When I do this, I usually give half my PC's remaining drive space to Mint. You'll be asked to choose which operating system you want to boot by default. No matter which one you pick, you'll get a few seconds to switch to the other operating system. You'll also be required to give your system a name; __pick out a username for yourself, and come up with a PASSWORD. WRITE THE BLOODY THING DOWN__. You WILL need it....many times over. On many occasions when you type the password into linux.....it will NOT show on screen...not even asterisks etc etc......so have a record of it..... somewhere. Set up a regular Timeshift schedule. Easy to do. Peace of mind assured. Unless you work for the nsa, don't encrypt your drive. For normal day to day use , you do not need it. Drivers : Next, you can have it check to see if your computer needs any additional drivers. I highly recommend you run this. After this, you can choose to install proprietary multimedia codecs such as drivers to watch DVDs. I think you should do this, as well. Unlike Windows, when you update Mint, you're updating not just your operating system but all the other programs such as the default web browser, Firefox; office-suite, LibreOffice; and any other programs you've installed from Mint's Software Manager. __To update manually, click on the shield icon in the menu bar__. By default in the Cinnamon desktop, the bar will be on the bottom part of the screen and the icon will be on the right. It will then prompt you for your password and ask if you really want to update your system. Say yes, and you'll be ready to give your new Mint system a real try out. **PLEASE PLEASE PLEASE READ. Your updates will be automatically set to ""JUST KEEP MY COMPUTER SAFE""**......DO NOT stop/delay/fiddle with updates. __THIS IS NOT WINDOWS__. Just let the update manager do its thing. It will not destroy your pc and have you spend countless hours trying to resurrect it from the ashes....This NOT windows. Have Faith. ICEMAN and Bayou Bengal like this. Hello, Ice, and welcome to Linux.org. Along with the good advice the others have already offered, I'd like to recommend you turn off your Win 7 updates. They are the source of your problems, not your aging computer. I dual boot Win 7 with all 5 of my computers, and I haven't had a single issue with Win 7. This is because I turned off Windows Update the day Win 10 was released to the public and started installing itself. I had also read, through research, that the rolling updates for Win 7 and 8 contained most of the telemetry of Win 10. Microsoft took away your ability to select which updates you wanted to install about 6 months after Win 10 was released, and they went to this "rolling update" model for both 7 and 8. You either take all the updates or none, which means their crappy drivers get installed. I chose none, and my computer is still running fine several years later. 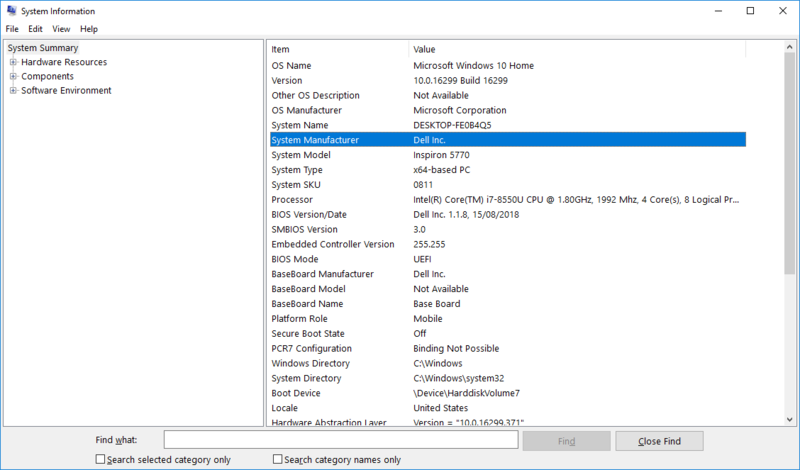 If you want to keep your Win 7 and dual boot, there are a couple ways to do it, and the Wizard is the master at multi-booting. Good luck with whatever you decide. ICEMAN, Jeffrey Lapinski and wizardfromoz like this. I've found these guides to be useful for anything from A to Z. Kind words, friend Bayou , but multibooting Linuxes is my forte. I gave Windows 7 (which I quite liked) the flick a little over 4 years ago and went totally Linux household, never looked back. In July Elaine and I got a good deal on a pair of Dell Inspirons, which shipped with Windows 10. I put Linux Mint 19 'Tara' Cinnamon on hers alongside the Windozer. Mine has the Windows neutered down to about 60GB and about 25 Linux on it. I would have blown away the Windows but Stan asked me to keep it on in case I could help here. Stan (@atanere ), Brian (@Condobloke ) and others have far more recent Windows experience than I. Stan is on a Sabbatical of sorts for an indeterminate period of time. Certainly if I can assist Ice or any other, I am happy to help. Saturday here in Oz so Avagudweegend. Bayou Bengal, ICEMAN and Jeffrey Lapinski like this. Well I certainly have a great deal of reading to do...Thank you all for the many replies. I will catch up in due time but for now...THIS gem right here makes so much sense for my Win 7 issue. In fact if I were Sherlock Homer I'd have figured this out back when Bart stuck a PB sanny in my DVD tray??!! I am definitely going to turn it off. Windows Updates I mean. Believe it or not..my PC has not even hiccupped since sending my initial query to all you fine folks. And I am not sure if its because I actually did the reading suggested above prior to actually seeing the advice here and attempted to load an ISO via DVD burn of UBUNTU but sadly I ran into a few walls. I did get the program to open and then tried to get the email client to recognize my existing email addresses to get started but got stumped and was unable to successfully perform that task. So I became frustrated and shut down rebooting the next day to WIN 7 and since then not a single problem. I just checked WIN Update and it was set to install automatically so I just switched it to 'NEVER' Bill Gates now. I will leave this as is for the time being and ask if the updates they call 'critical' can also be ignored? It makes perfect sense that these updates were the source of my issue as they seemed to coincide with the next run of blue screens and freezes right after said updates but maybe my rig is also suspect as it is limping along with its age and perhaps a few of the issues I have had over the past year may be also related to that fact. In the meantime I will do my best to educate myself on the Linux programs as the prospect of NOT being bound to silicon valley and the BIG corps of MS and Apple is VERY appealing. Bayou Bengal and wizardfromoz like this. Bayou Bengal, wizardfromoz and Condobloke like this. YESSSSSSS!!!! I had huge issues with this trying to determine what the hell the install was trying to tell me. Frankly I found that portion of it very poorly designed as it did not give you much hope in trying to figure out where exactly you should install or partition etc. 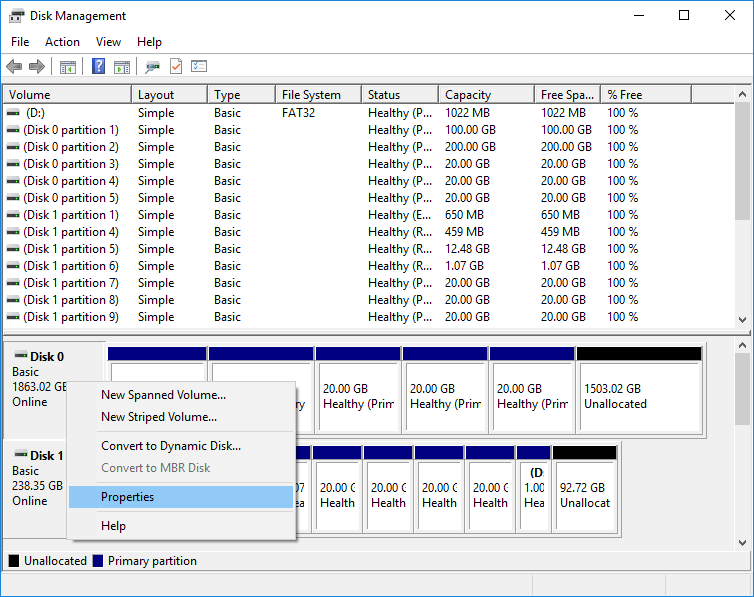 Not that I know what partition actually technically means (I can assume and figure it out though) and I finally just gave up and backed out of that attempt and then began reburning another DVD to use it as I posted earlier...as a demo disc which was when I could not get the email programs figured out. So as I say...I obviously just need to sit down and read....A LOT apparently which honestly can be a big turnoff for many with this kind of thing. But I will go through the motions at some point. I will say however that issue of partitioning should be the designer of this program's first order of business to have it better transfer onto screen for the noobs trying out the program. By that I mean have clearer directions and UI when that choice of where, how, why etc to partition comes on screen. I ended up deleting a pile of back ups to make room on my C drive(225GB) because it was messing with my head and making me think it insisted I use the original main drive that the PC came with, even though I have two other drives installed. One is my J drive installed directly (935GB) and the other is a USB plug in Seagate Backup Plus at 1.5TB. So there's plenty of room with each drive being half empty but I simply could not figure out what it was trying to tell me when I attempted the install. So I gave up as I say because I was worried about exactly what you mention of wiping my entire Win7 out unintentionally and reburned a disc to use as a demo. Thanks for the note. I need to read it again and refer to the links etc supplied by all. TOOOOOOOOOO MUCH reading...Lol. Bayou Bengal, Condobloke and wizardfromoz like this. I set the updates on win 7 to manual, and checked every one carefully. I hid the ones that pertained to setting the machine up for upgrading to win 10, and it stayed on win 7. Score one for the good side! I use it so rarely that it probably needs a thousand updates, but OH WELL! ICEMAN, Hansel Johnson Jr and wizardfromoz like this. What PLC are you teaching? I used to work on robots which used the Mitubishi Melsec, but I haven't touched one in 20 years. These new machines, even the ones that wave around plasma torches, all use embedded UNIX processors. Allen Bradley PLC's. The software is produced by Rockwell. Current lines are the Controllogix series and the Compactlogix series, but I have been messing with the AB line since the PLC4 days. I started with the Gould Modicon line back in 1980. Oi, you pair of chirpy galahs (an Australian parrot) - go start a Thread in General Computing - sounds like you have some similar experiences and things in common, and I'd certainly read it - one of the things I love about this place is the wealth of experiences on tap. Hansel Johnson Jr and VP9KS like this.